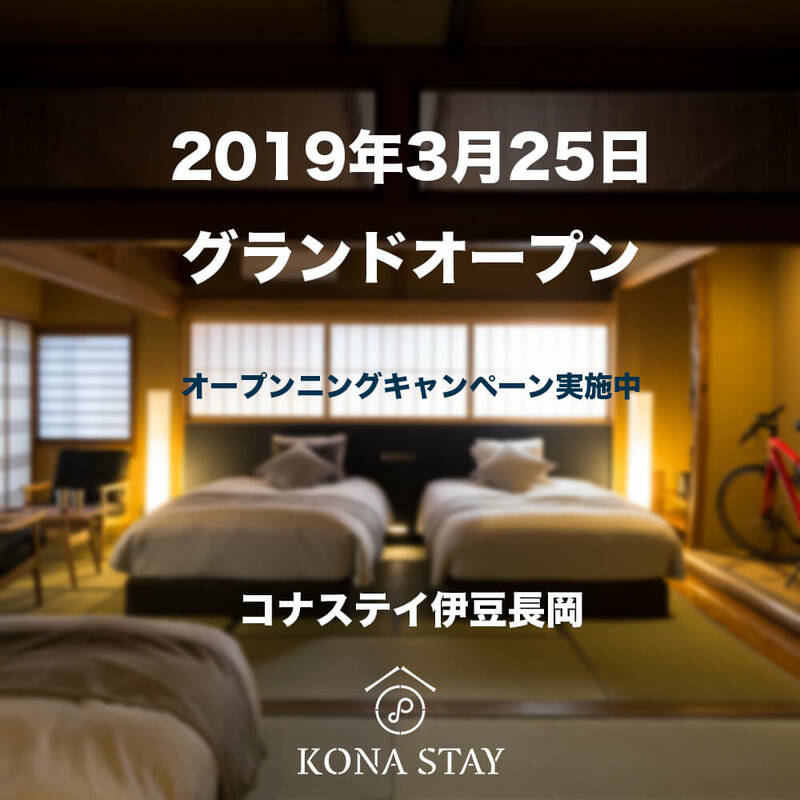 “Kona Stay Izu-Nagaoka” is a B&B style Hotel with hot springs and rental eBike services. 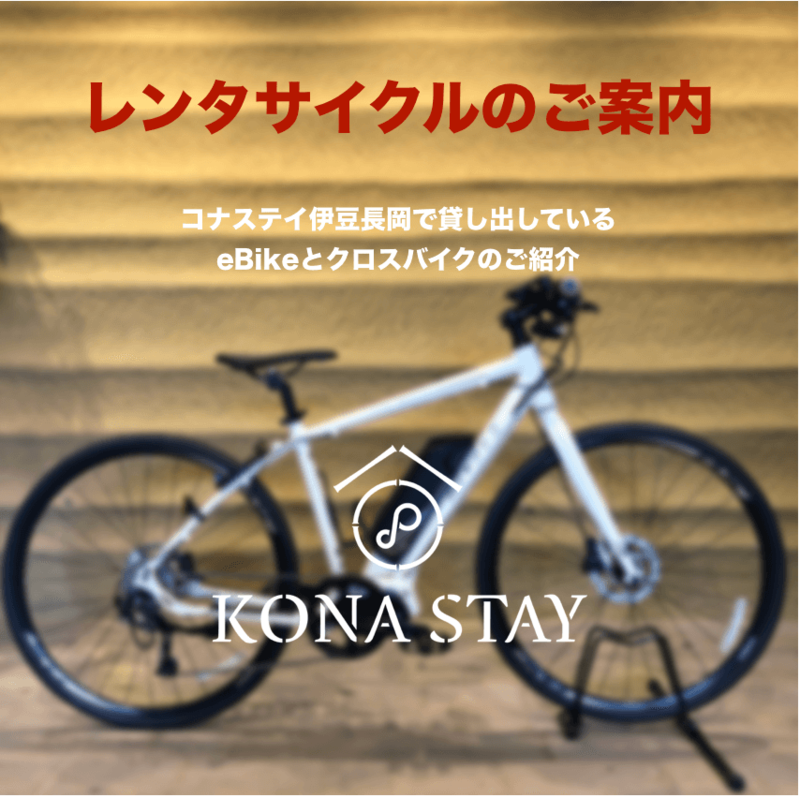 We support cycle travels in the natures of Izu Peninsula. We have renovated an old Ryokan inn and turned it in a cozy hotel style accommodation. The “standard” rooms are more privacy directed, and the “dormitory” is more cost conscious rooms. For bicycle beginners, it may be difficult to climb up the slope with a bicycle. However, a new technology is setting up an environment where you can enjoy a bicycle journey without putting a burden on your body more than walking. 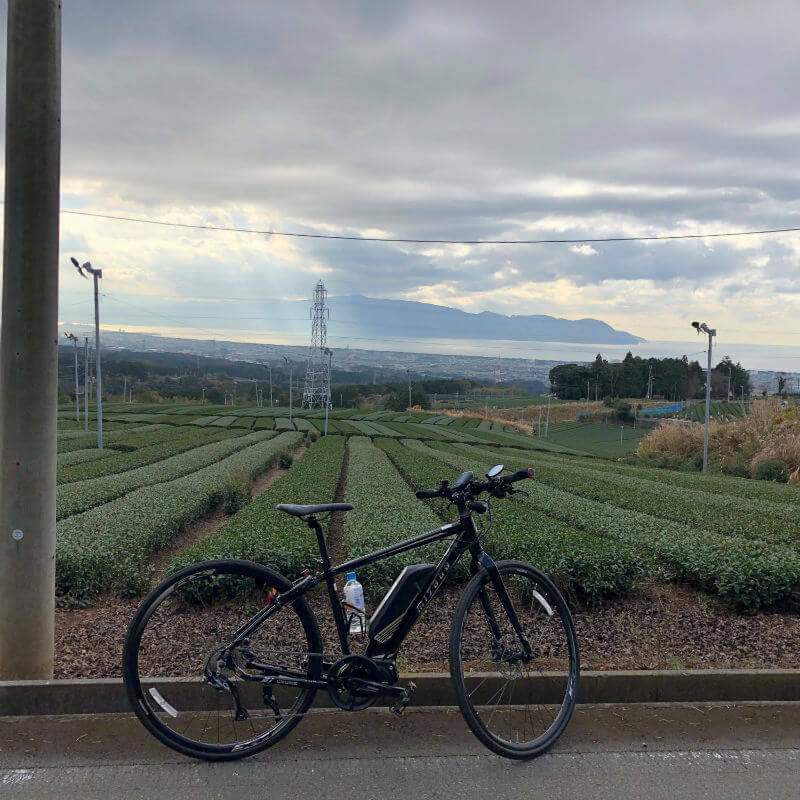 Please enjoy the Izu Peninsula with “eBike”. We will introduce reputable restaurants in the area near for your dinner. You can also bring fresh seafoods and vegetables you bought at a market and barbecue it in the hotel. 【Numazu/Mishima/Izu】 You can enjoy variety of seafoods, meats and vegetables that are harvested in the local area. We will be able to advise about restaurants you can taste these local cuisine. 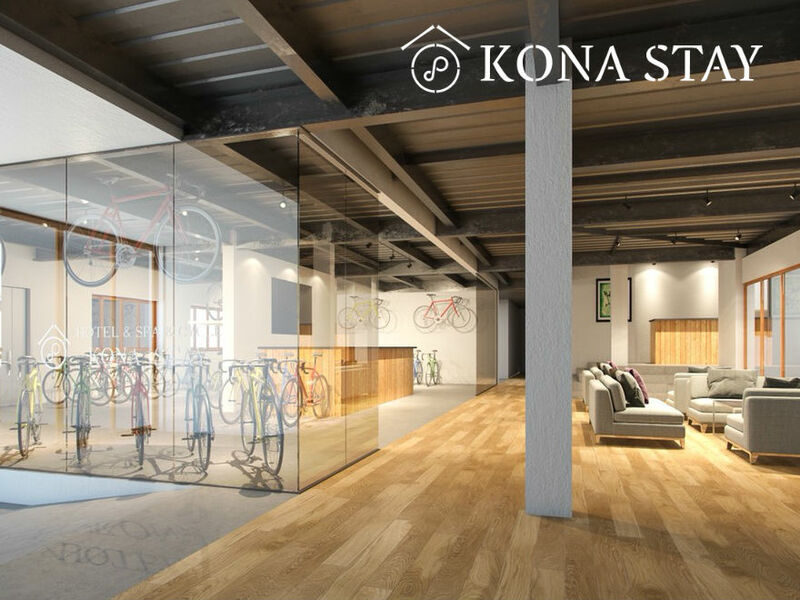 We have a show case to help the people who want to sell their memorable cycle goods to those who will want to use those items with care. Take a Shinkansen from Tokyo to Mishima. It takes about 45min. and change to Izu-Hakone train at Mishima station. Take 22min ride and get off the train at Izu-Nagaoka station. Hotel shuttle bus will pick you up at the station. It takes about 5min to the hotel. Numazu or Nagaizumi-Numazu IC of the Tomei-Highway is the nearest interchange. Take the Izu-Jukando road to the south. It takes about 30min from the Numazu IC and get off at the Nagaoka Kita IC. Capacity: 10 cars. Because the parking is located in a few minuets walk distance, please stop by the front desk first.